Not to be left out of ARRMA’s 2019 upgrade-a-palooza, the Talion 6S BLX speed truggy has been blessed with a number of new components for the new year. With a focus on performance and durability, this year’s Talion model is sure to please speed and stunt fanatics. If you’ve noticed the trend in updates to the previous 1/8-scale ARRMA updates, you can probably guess what new elements have been integrated into this truggy. On the durability side, an aluminum brace now runs up and down the center of the chassis, helping this model survive impacts and gnarly landings. Also aiding in durability, a “never pop” ball joints and a “never loose” servo saver have been employed to keep the Talion’s suspension and steering on track. When maintenance needs arise, there are a number of helpful elements which have been added to the 2019 Talion including a sliding motor mount (for easy gear mesh and motor removal) and 5-bolt center differential (again, for easy removal). The electronics have also been refreshed, with a Spektrum radio system (STX2 transmitter and SRX200 receiver) replacing the previous Tactic setup and new iC5 (EC5 compatible) battery connectors in place to support the Spektrum smart charger lineup. What remains in-place from previous models is the power. The Talion 6S BLX continues to crank out speed thanks to a 2050kv brushless motor and 6S LiPo-capable ESC. Priced at $549.99, the ARRMA Talion 6S BLX is available through towerhobbies.com and horizonhobby.com, as well as your local ARRMA dealer. 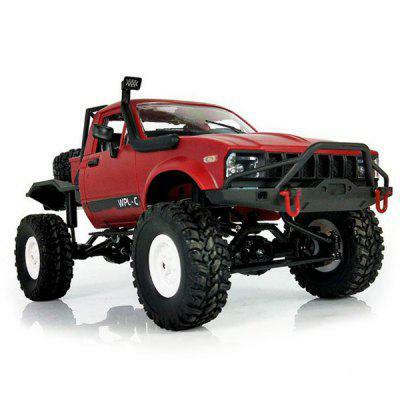 Visit arrma-rc.com to learn more about this R/C truggy model.